Estate planning is a smart move that could potentially save your family thousands of dollars and lots of unnecessary hassle. Unfortunately, most people do not fully understand the concept and how it works. There are a lot of estate planning myths out there and it’s important to know the myths from the facts. Let’s take a look at the most common myths that stop people from properly set up a trust for their family. 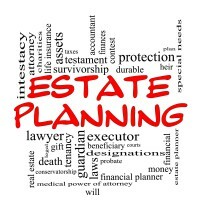 The truth is, estate planning is not just for millionaires and billionaires. If you would like to make sure that your family can live on comfortably even after your death, if you would like to have your child cared for, or if you would like to transfer your assets in the most efficient way, then a real estate plan will be helpful. It is not about how much you can leave for your heirs, it’s about doing so without costing extra money or time. While most people only think about their death when they get older, accident can happen. What would happen to your family if you pass away or become incapable of managing your business or assets? An estate plan will lessen the burden in case of an unfortunate event. At least, you can rest assured that your assets will be managed properly as you wish. A will only becomes effective upon the death of the person, and only serves to pass on the property and assets to his or her heirs. A trust, however, will also plan for your assets to be taken care of in case you become incapacitated. Often, if your assets or property value add up to over $100,000, it is recommended to have both a will and a living trust. The truth is, anyone can draft their own trust or will document, especially when their financial situation is not too complicated. Drafting the paperwork requires certain due diligence process to make sure you did not miss any details. To be certain, you can still have a legal expert review your document. This expert can help make certain that the documents comply with all the applicable law. Having a lawyer review instead of drafting the documents from scratch can also save you some money on this process.